If you're out on the town, whether your own or a new place, and you suddenly find yourself struck by the overwhelming urge to take in a movie, Fandango can do it all. 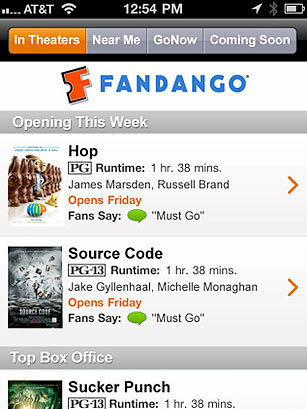 Use it to find nearby theaters, watch trailers and purchase tickets directly from your phone. You can send the information to friends too, complete with links they can use to purchase tickets. No more of this you-buy-the-tickets-and-we'll-all-pay-you-when-we-get-to-the-theater business. That never works out in your favor (unless you're the one running late).